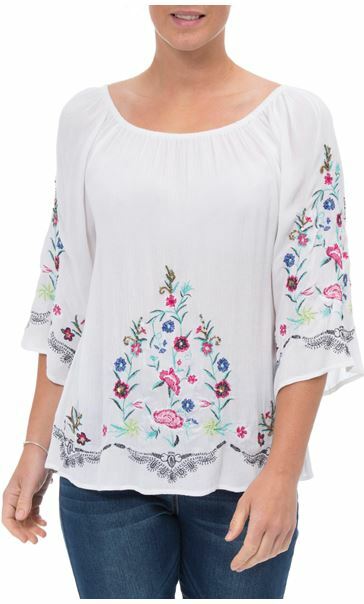 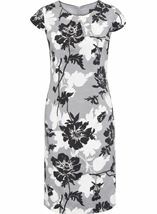 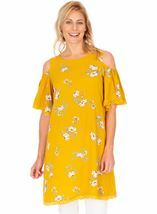 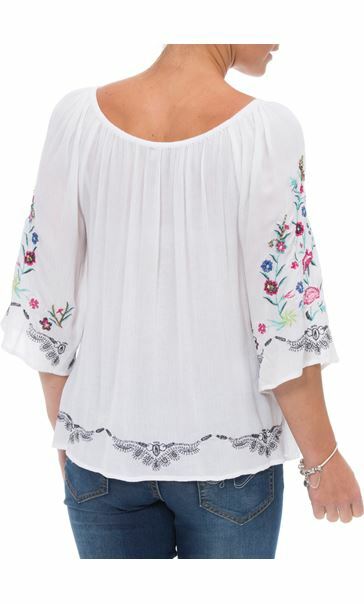 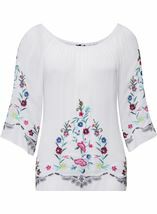 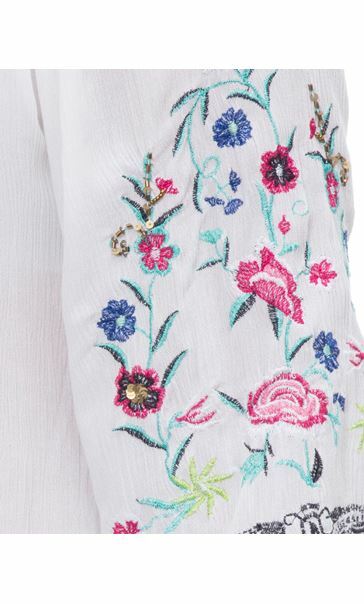 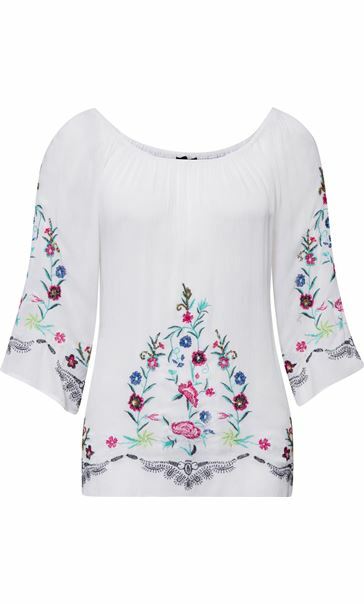 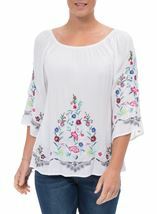 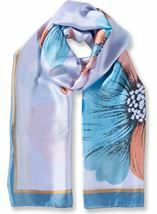 Beautifully floral embroidered top that can be worn off or on the shoulder for summer chic. 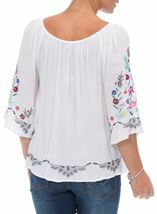 Crafted in a white crinkle fabric with wide three quarter length sleeves, team with smart or casual bottoms. 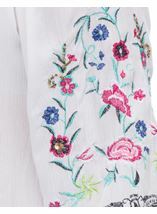 Back length 52cms.